If you have any questions about the PRIMADONNA information page below please contact us. The motor yacht PRIMADONNA is a 49 m 160 (foot) generous composite luxury yacht which was crafted by Christensen Shipyards and conceived by Christensen Shipyard. Sleeping 12 passengers and 10 crew, motor yacht PRIMADONNA was previously known as (Project Desperado) as her shipyard project name and/or yacht title. Launched for 2008 this boat’s interior design reflects the perspicacious tendencies of owner and Jacqueline Mann Design. 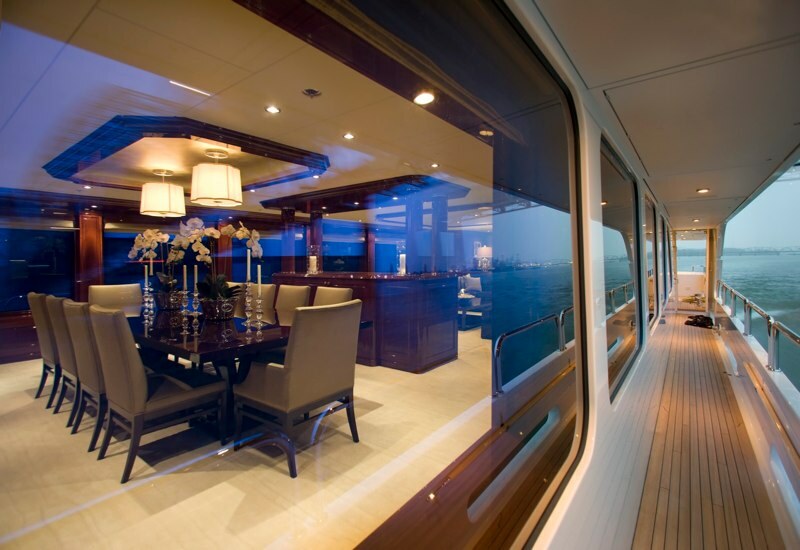 In the saloon she has plenty of custom glass work as well as throughout the rest of the yacht. 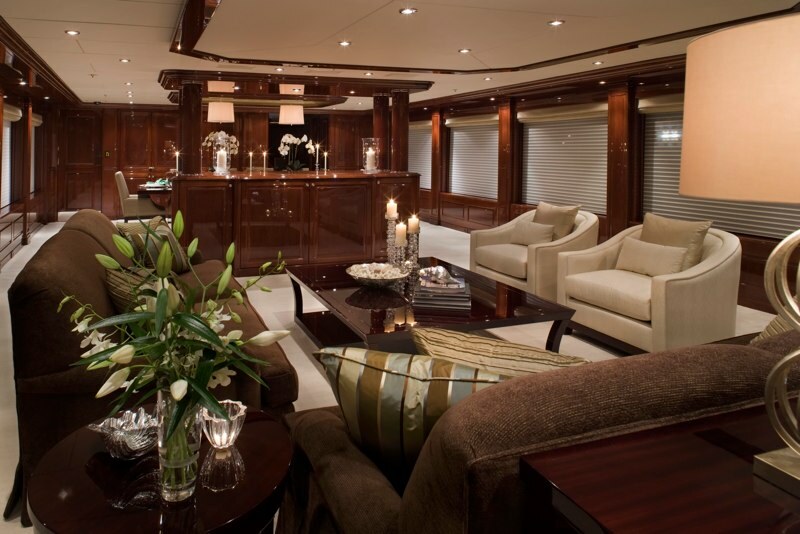 Also, her interior displays wood, stainless steel, and glass - all customised for her Las American yacht owner. She also has a sport fishing chair on her aft deck. 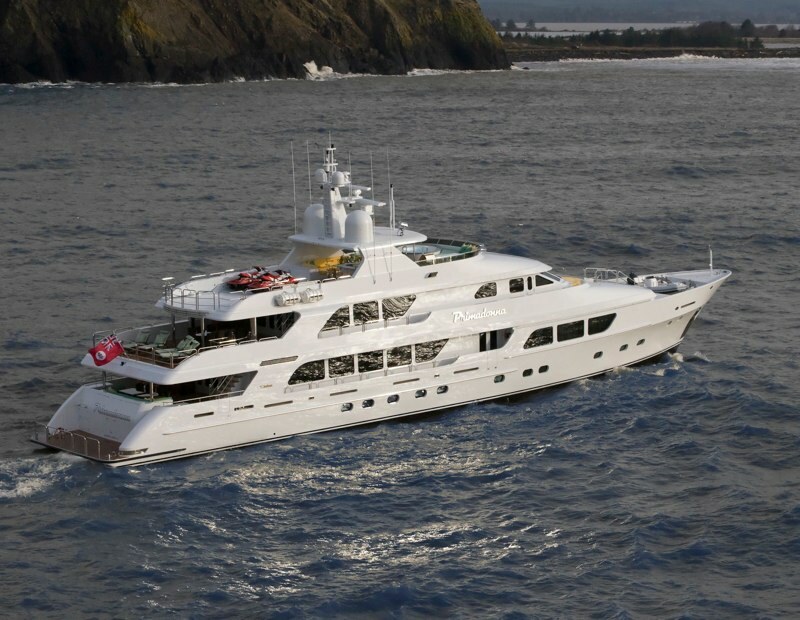 Christensen Shipyard was the naval architect firm involved in the formal nautical design work for PRIMADONNA. Her interior design was conceived by Jacqueline Mann Design. 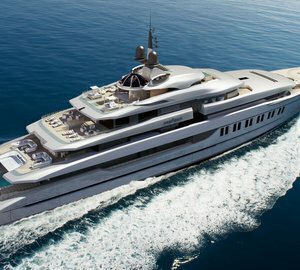 Christensen Shipyard is also associated with the yacht general design work for this boat. In 2008 she was formally launched with triumph in Vancouver Wa and following sea trials and final completion was then passed on to the owner. Christensen Shipyards completed their new build motor yacht in the United States. Her core hull was constructed with composite. The motor yacht superstructure is fabricated predominantly with composite. With a beam of 9 metres or 29.6 ft PRIMADONNA has fairly large size. A fairly shallow draught of 2.41m (7.91ft) selects the list of certain ports she can visit, taking into account their specific depth. 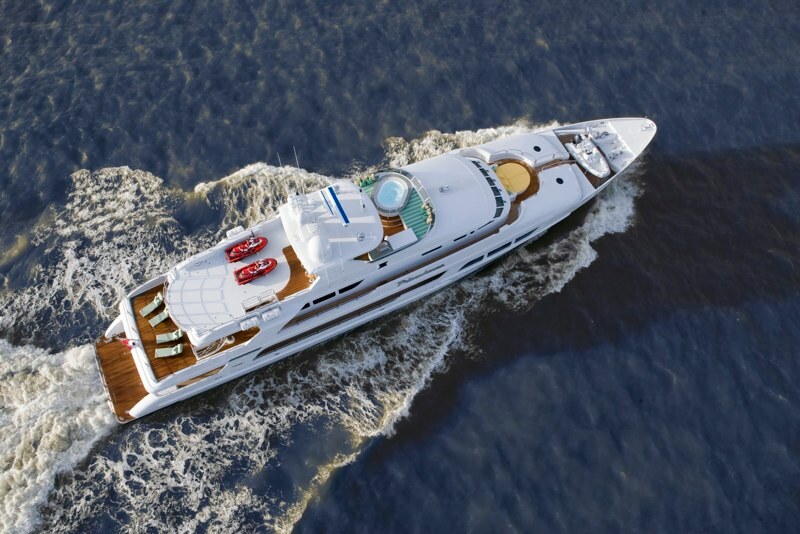 Installed with twin MTU diesel engines, PRIMADONNA is able to reach a top speed of 18 knots. She is driven by twin screw propellers (nibral 5 blades). She also has an economical range of 4300 miles when motoring at her cruising speed of 12 knots. Her total HP is 3600 HP and her total Kilowatts are 2686. With respect to thrusters she was fitted with American T.R.A.C. Dual Prop. With respect to the ship’s stabalisers she was supplied with Naiad. The large luxury yacht motor yacht PRIMADONNA is able to sleep as many as 12 passengers in addition to 10 crew. 48.77 metres / 160 feet. Main Engine(s) is two 1800 Horse Power / 1343 kW MTU. The Model type is 12V 4000 M90 diesel. Total engine power output 3600 HP /2686 KW. 4300 at a speed of 12 knots. Alaska Disel Electric 2 times 99 kilowatts & 1 times 65 kilowatts. The minimum draught is 2.1m/6.9ft. Cruisair was the outfit that installed the air con on the yacht. This motor yacht has a teak deck. The luxury yacht PRIMADONNA displayed on this page is merely informational and she is not necessarily available for yacht charter or for sale, nor is she represented or marketed in anyway by CharterWorld. This web page and the superyacht information contained herein is not contractual. All yacht specifications and informations are displayed in good faith but CharterWorld does not warrant or assume any legal liability or responsibility for the current accuracy, completeness, validity, or usefulness of any superyacht information and/or images displayed. All boat information is subject to change without prior notice and may not be current.